Markeis McGlockton, a 28-year-old father of three, was killed July 19. 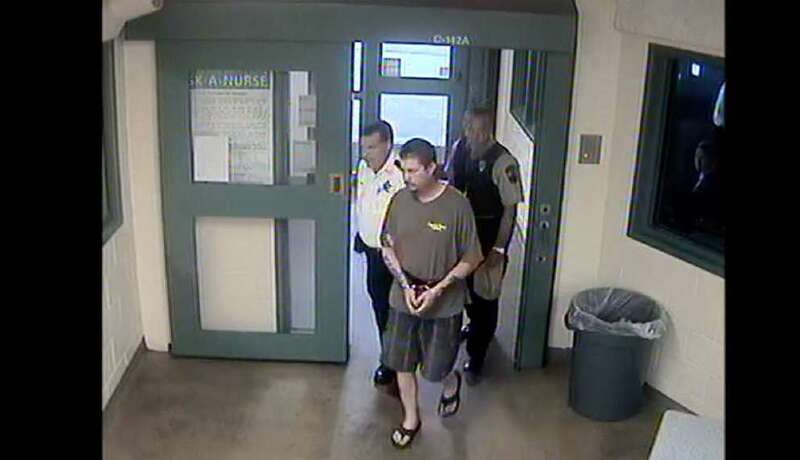 Three weeks passed before Michael Drejka, 48, was arrested. In that time, the case touched off a national debate about Florida's controversial stand your ground law. McGlockton, 28, runs into the Circle A Food Store at 1201 Sunset Point Rd. 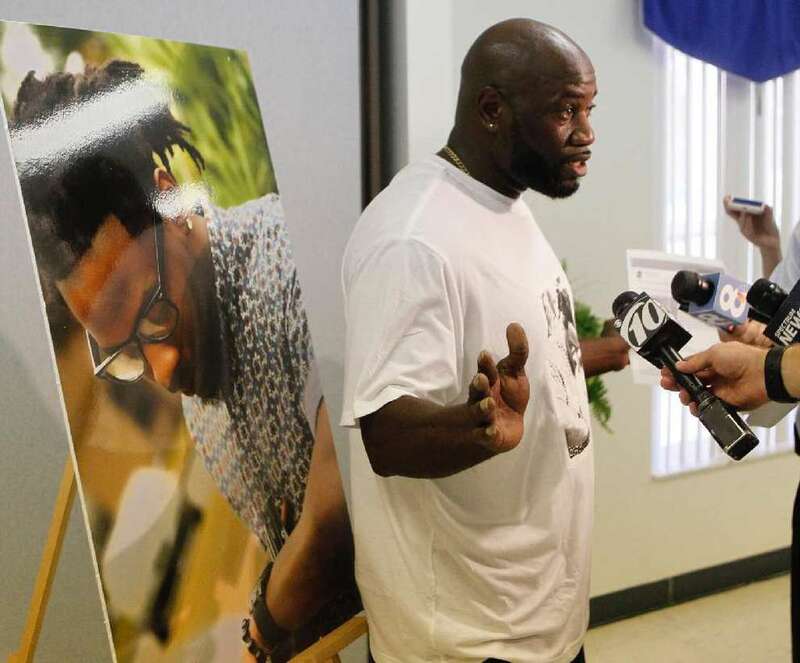 in Clearwater with his 5-year-old son, Markeis Jr. His girlfriend, Britany Jacobs, waits in the car with their two other children about 3 p.m. McGlockton had just picked her up from work. She parks in a handicap-reserved spot. Drejka, then 47, approaches the vehicle and begins to argue with Jacobs about her taking the spot without a handicap-designated plate or placard. McGlockton, a black man, exits the store and pushes Drejka, a white man, to the ground. Drejka pulls out his gun and shoots McGlockton, who stumbles into the store and collapses. He is pronounced dead that afternoon. 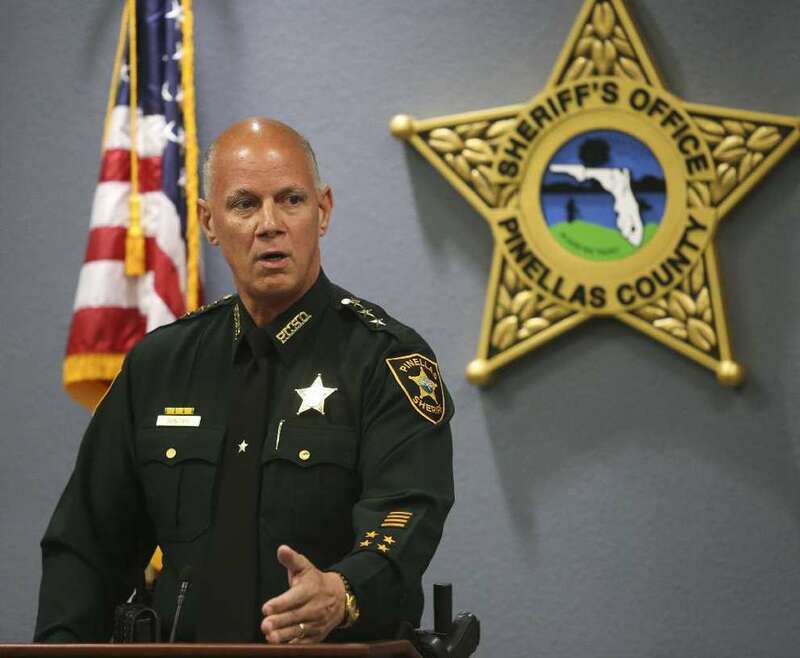 Pinellas Sheriff Bob Gualtieri announces he will not arrest Drejka in the case. He cites stand your ground law, saying that under his interpretation, he cannot make an arrest because the case might fall "within the bookends of force being justified." Gualtieri adds: "I'm not saying I agree with it, but I don't make that call." McGlockton's family gathers with supporters and friends at Mt. Carmel Baptist Church in Clearwater to call for an arrest in the case and to protest the stand your ground law. They then move to the convenience store where McGlockton was shot. His father, Michael McGlockton, calls to the gatherers through a megaphone: "We're trying to get a movement on this thing." McGlockton's relatives and their lawyers hold a news conference, calling on the office of Pinellas-Pasco State Attorney Bernie McCabe to file charges against Drejka. "If not, they're sanctioning a murder, plain and simple," says Clearwater attorney Michele Rayner. She says Jacobs, McGlockton's girlfriend, recalls the bullet wound being on his side, meaning he was turning away when he was shot. That, Rayner says, is evidence that self-defense should not apply. The McGlockton case is already subject to intense political debate. In an election year, almost every candidate for governor — Republican or Democrat — weighs in. The Democrats all say Drejka should be charged and the stand your ground law needs revisions, at least. Adam Putnam, a Republican candidate and the state's agriculture commissioner, supports Gualtieri's decision not to arrest Drejka. His primary opponent, Ron DeSantis, does not make a statement. Nearly two weeks later, DeSantis questions the sheriff's interpretation of the stand your ground law. 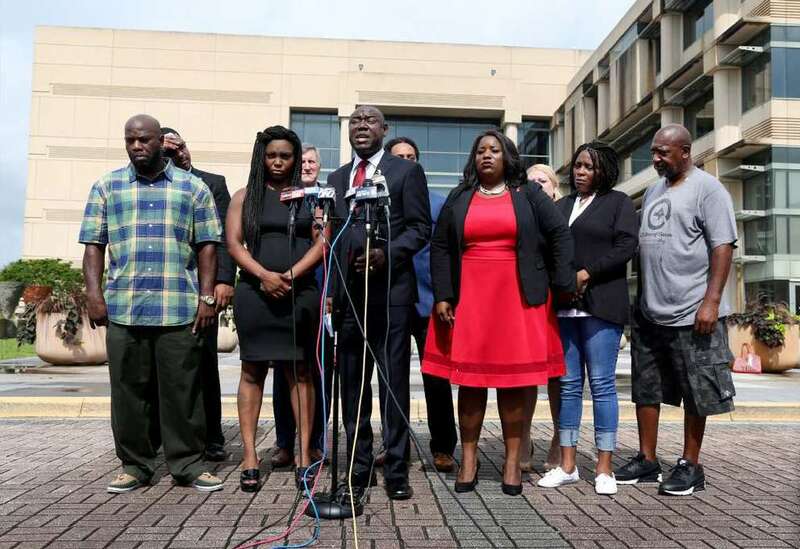 Benjamin Crump, a prominent civil rights lawyer who represented the family of Trayvon Martin after the teen was shot and killed by George Zimmeran in Sanford, signs on to represent Jacobs, McGlockton's girlfriend. Crump has experience with opposing stand your ground and in representing the families of black people in shootings that bring up questions of racial injustice. Crump calls a news conference with McGlockton's family and other lawyers in front of the Pinellas County Justice Center. 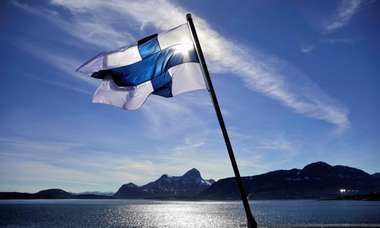 It is one week since the shooting. Crump says Drejka was the initial aggressor and should be arrested, calling the shooting "cold-blooded murder" by a "self-appointed, wannabe cop." 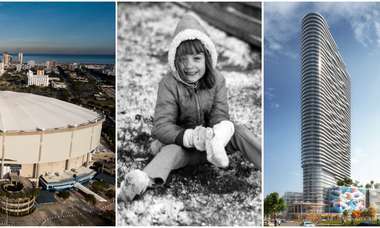 Five U.S. legislators, including Florida Sen. Bill Nelson and Reps. Charlie Crist and Alcee Hastings, all Democrats, sign a letter calling for an investigation into the McGlockton case by the Department of Justice's Civil Rights Division. 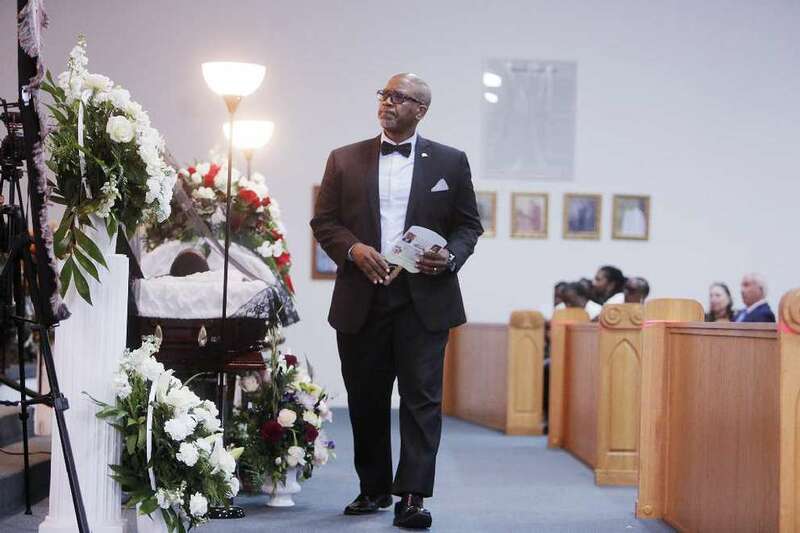 Mourners gather for McGlockton's funeral at Shiloh Missionary Baptist Church. The family calls it a "Celebration of Life," and about 250 supporters use the day to call for action as they seek an arrest and changes to stand your ground. "It's not over," says Pastor Carlton Childs, president of the Upper Pinellas County Ministerial Alliance. McGlockton's family attends a town hall at Mt. Carmel Baptist Church in Clearwater, where Democratic governor hopeful and Tallahassee Mayor Andrew Gillum urges voters to make stand your ground a defining issue of the 2018 election. Marva McWhite, the president of the NAACP Clearwater/Upper Pinellas Branch, tells the roughly 150 people in attendance they "must ask every candidate running for public office if they will support sensible gun safety and gun control legislation." State Sen. Darryl Rouson, D-St. Petersburg, calls on fellow legislators to hold a special session to change the stand your ground law. 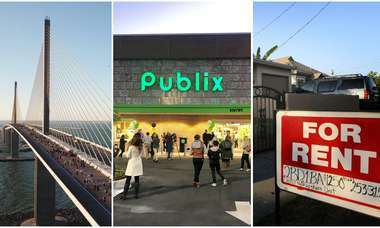 "Every day that passes, we are letting down the citizens of Florida who are put at risk by the unintended consequences of this statute," he writes in a letter. Sheriff Gualtieri stands by his decision not to arrest Drejka in the shooting. Local officials from the NAACP and Ministerial Alliance decide not to stand with him shortly before the news conference begins. Over 55 minutes, the sheriff explains that prosecutors will have final say on charges in the case. He once again says stand your ground might apply, which he says prohibits his deputies from making an arrest. "I've never done anything because it's the easy way or what some might call the politically expedient thing to do," Gualtieri says. "And I'm not going to start doing it today." The Sheriff's Office turns over the case to prosecutors to decide whether charges should be filed against Drejka. Deputies provide the State Attorney's Office with more than 400 pages of reports. ANALYSIS: In latest 'stand your ground' case, a question: Who started it? The Rev. 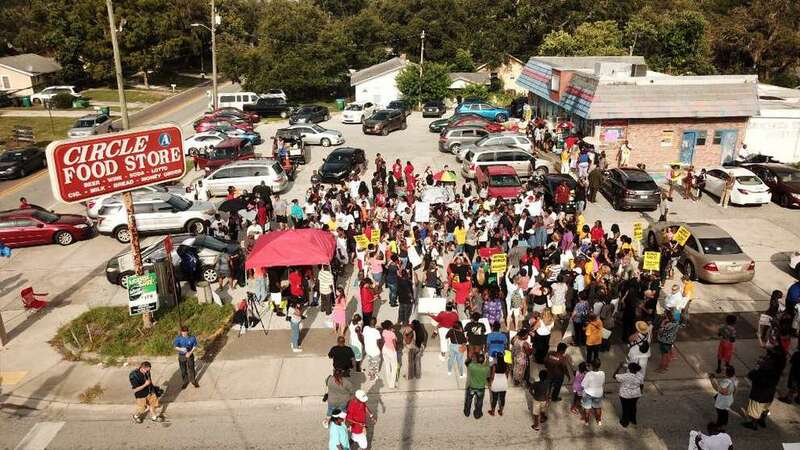 Al Sharpton holds a rally in Clearwater, calling for Drejka's arrest. 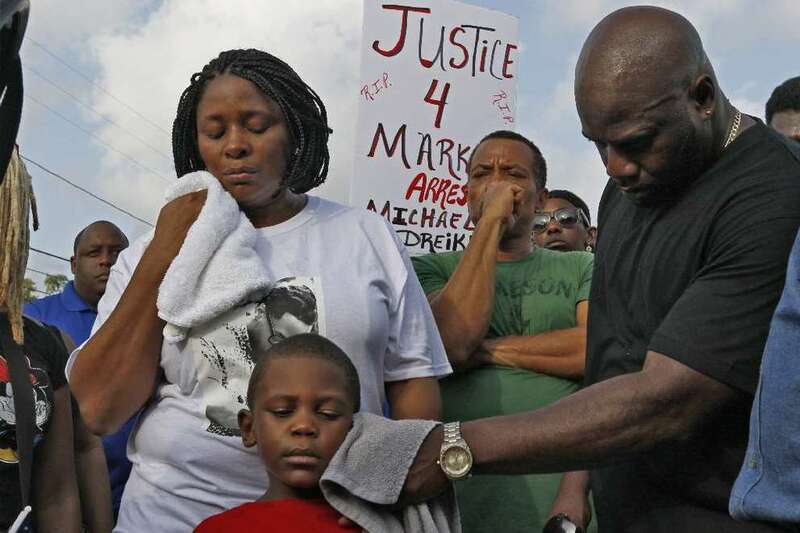 "(Drejka) killed an unarmed black man who was standing up for his family. 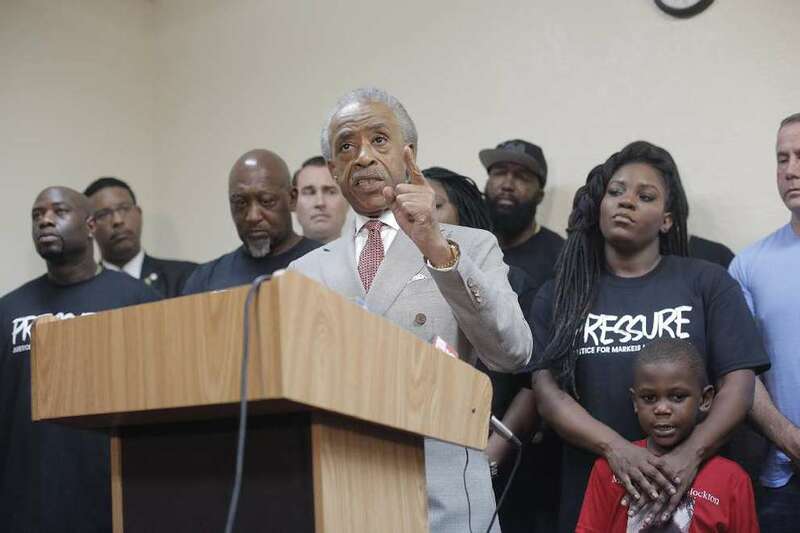 Lock him up, or give up your badge," Sharpton says, speaking about Sheriff Gualtieri, who does not attend. About 400 people fill St. John Primitive Baptist Church as the five Democratic candidates for governor each give addresses, saying they will repeal stand your ground if elected. Sheriff Gualtieri, speaking at an unrelated news conference, reacts to Sharpton's visit. He says "It's a bunch of rhetoric. I don't pay much attention to it to tell you the truth. I wasn't there, and I don't really care what Al Sharpton has to say. Go back to New York. Mind your own business." The Pinellas County Commission votes 6-0 in favor of a resolution backing stand your ground repeal. Jacobs, McGlockton's girlfriend, joins supporters and community leaders in Tallahassee for a rally and march to Gov. 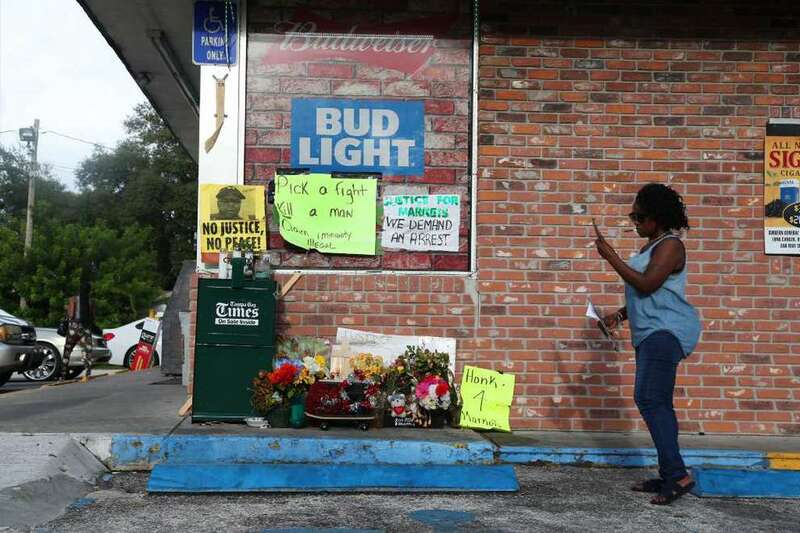 Rick Scott's office to call for a meeting over stand your ground. State legislators vote against holding a special session on stand your ground. 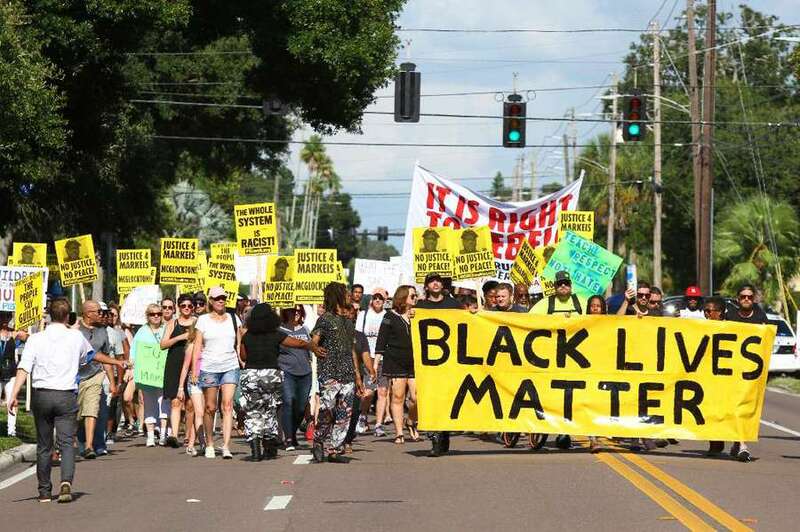 CATCH UP: The Florida Legislature rejected a call for a special session on stand your ground. Here's how Tampa Bay lawmakers voted. Pinellas prosecutors issue a warrant for Drejka's arrest. Deputies take him into custody before noon, and he is booked into the Pinellas County Jail soon after on a manslaughter charge. A report filed by a detective and attached to the warrant describes how Drejka was likely an estimated 12 feet away from McGlockton at the time of the shooting. McGlockton had begun to back up and turn away when Drejka pulled out his gun, according to the report. McGlockton's relatives and their supporters are overjoyed, calling the charge a first step toward justice. Drejka faces up to 30 years in prison. Drejka is expected to appear in court for the first time today, Aug. 14, at 1:30 p.m.